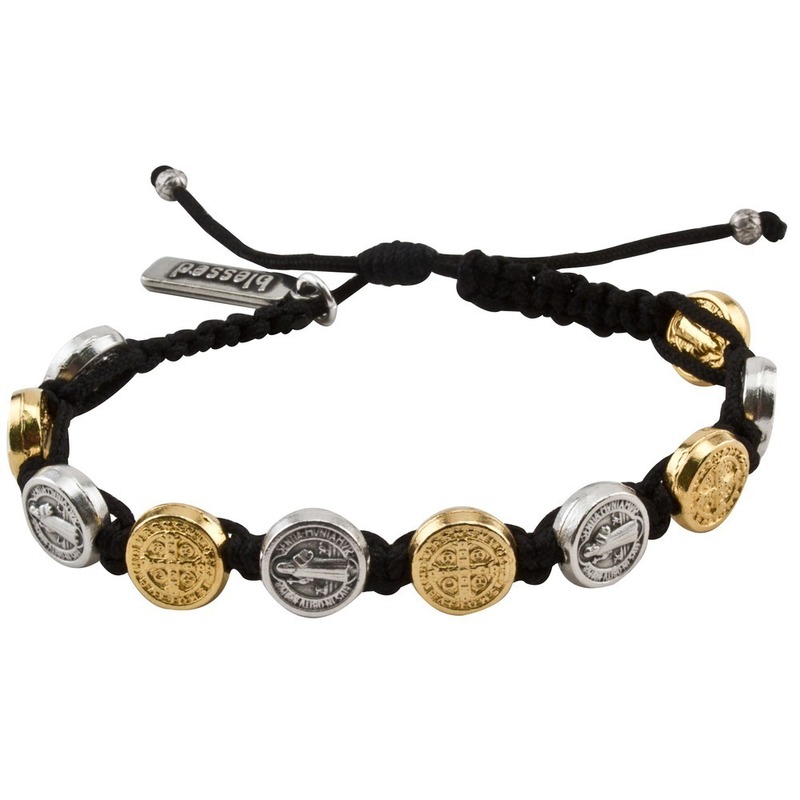 This simple bracelet is a handsome mix of gold and silver St. Benedict medals woven into a strand of black or white macramé;. In addition to the ten medals, the word “blessed” is inscribed on a little metal tag. The St. Benedict medal is often known to obtain God’s protection from the devil and from impurity, from disease and dangerous storms, to procure assistance in the hour of death, and to obtain the grace of conversion for sinners. A popular Sacramental, rich in history and blessings. Adjustable slipknot closure. Handmade.